I usually post all the natural hair events I hear about on the Natural Hair Event's Page (Click Here) but I haven't yet done that for this particular event that I've come across. Although I'm curious and may attend to find out more, I'm a little reluctant to post it on the events page. This is mainly because I like to offer people the opportunity to verify the information they find here on the blog, for themselves. However because this flyer offers no contact details, I can neither verify the credibility of the advertised event or organisers for myself, nor guide you in the direction of where to find out more. So instead I'm sharing it with you guys, and if anyone has any more info or knows where to find some please let us know in the comment box below or email me. 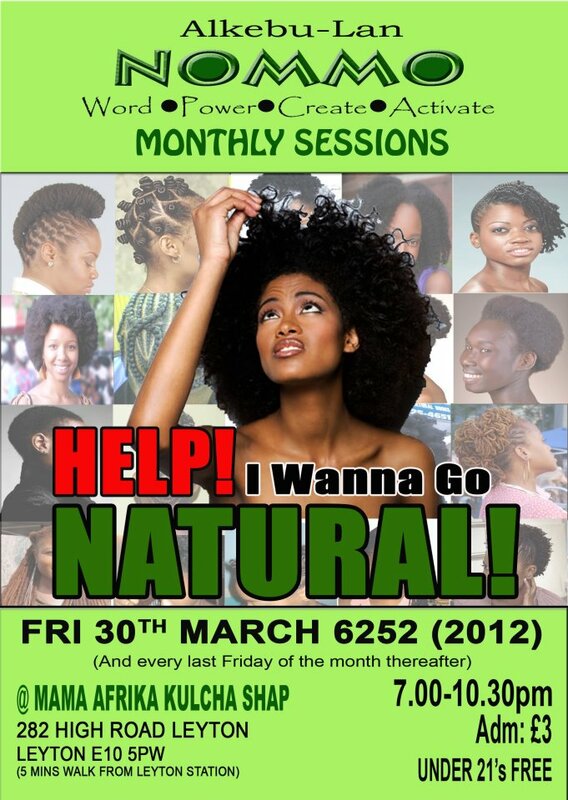 From what I can gather this not actually an event but a course for those people who would like to go natural. It's a brilliant idea and one that I actually thought about working on last year, so if it's any good I will let you know.